Bringing Out Your Inner Chef & Putting “FUN” Back Into The Kitchen!! Heading into December brings a myriad of things to do, hanging Christmas lights and mistletoe, decorating the tree, selecting and wrapping the perfect gift, who has time to shop for groceries and plan meals???? 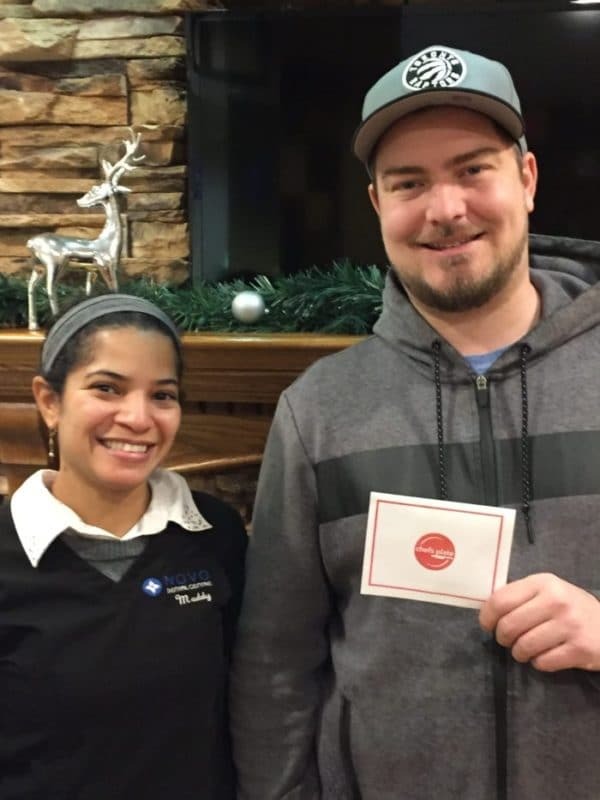 Evan was thrilled to be the recipient of this month’s draw, a $50 gift card to “Chefs Plate”!! Chefs Plate is a unique service who provides seasonal farm-fresh ingredients and nutritious easy to follow recipes delivered directly to your door. Their ingredients are of the highest quality and are sourced responsibly. They build direct relationships with Canadian farmers allowing them to set the highest standards for the ingredients they use as well as develop a more sustainable food system. Chefs Plate is focused on building a better food system that supports artisanal suppliers, promotes responsible farming and eliminates wasteful steps in the food supply chain. Each week you choose from a mouthwatering selection of new original recipes created by their culinary team and guest chefs. All dishes are balanced and nutritious and feature land, sea and veggie options. You may choose from their 2-Person or Family Plans and the menus will be personalized to your taste preferences. Locally sourced speciality ingredients are fresher than the supermarket. The added benefit is there is no waste as the ingredients are pre-portioned for each recipe! Once you have placed your order, your meals are conveniently delivered directly to your door. If you are not home, no problem, your ingredients will arrive in a refrigerated box so your food will stay fresh. Here in Abbotsford, Chefs Plate will deliver your meals on Tuesdays and Fridays! For families on the go who want to eat healthily, Chefs Plate is a wonderful alternative to fast food, or prepackaged meals that contain preservatives not conducive to a healthy lifestyle. Their subscriptions are flexible, allowing you to skip any week or pause any time!